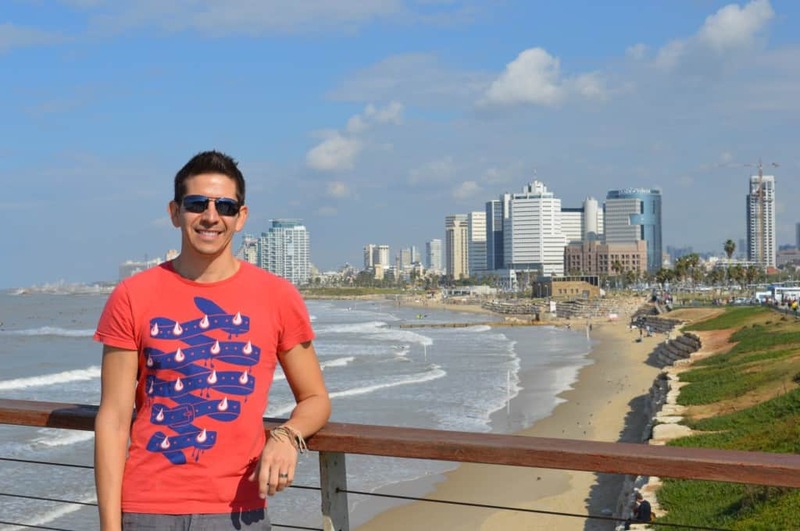 Pinkwashing – What’s the Truth about Israeli Gay Rights and Travel? It’s a term we’ve been forced to acquaint ourselves with over the past couple years. Possibly not something well known to the average LGBT traveler, but it’s an important thing to be aware of especially if you plan to travel to Israel. And like many topics related to Israel, there’s a lot of debate and it actually has much bigger implications beyond the LGBT community. First, I decided that I want to address this topic since I recently visited Israel and leading up to, during and after my visit, I received a lot of messages of criticism (and hate) on social media as I shared status updates and photos of the trip. I’ve come to realize that simply visiting Israel can be interpreted as a statement of many things…regardless of my true feelings. I also understand that separating the idea of traveling to Israel and the current political situation is something that cannot be avoided no matter how hard I try. So in some sense I feel like it’s my responsibility as a writer, a traveler and a gay man to address this issue, share what I’ve learned and try to explain my viewpoint. I believe that with every small trip we make…we learn a little bit more about one culture and hopefully leave something positive behind. The most basic definition I’ve come to understand is that it is the deliberate attempt of the Israeli government to use the advancing LGBT rights in Israel as tactic in the media to distract attention away from the human rights violations against Palestinians and Arab Israelis. So in more simple worlds, people accuse the Israeli government of using something positive (increasing LGBT rights) to hide the negative (poor treatment of Palestinians and Israeli Arabs). If you search the term “Israel Pinkwashing” on Google you’ll find strong opinions on both sides of this hotly debated topic. And actually this issue is further complicated and is one that goes deeper than the LGBT community or simply the topic of gay travel in Israel. We’ve had the opportunity to travel around the world over the past few years to far off lands, popular gay destinations and even those countries where we would be put in jail if we simply held hands or kissed in public. Even stranger was the fact that we first learned about pinkwashing while in Ghana…of all places. We met Tyler (from the UK) and Mirah (from Israel) during our volunteering stay. Both were recent law graduates and they came to Ghana to volunteer with the same organization but in a different capacity. We quickly became friends and decided to take a weekend trip together to the beach. Fast forward to our night of drinking way too many beers at a beachside bar and the conversation become heavy. Mirah explained that she was actually a Palestinian living in Nazareth – an Israeli city with a large Arab community. She later admitted that she was bisexual and as can be expected, she had quite a strong opinion of Israel and she didn’t hesitate to share her thoughts of Israel’s use of pinkwashing as a political tactic. But honestly, at the time I just didn’t fully understand the issue but I knew it wouldn’t be the last time the topic would come up during our travels. Is Israel Really Gay Friendly? Let’s start with one fact: Israel does have a progressive approach to LGBT rights and it affords its residents and visitors with many rights and protections not seen in other parts of the world, especially in the Middle East. Like any country, there are opponents to gay rights in Israel especially coming from highly religious groups. Still Israel manages to maintain a mostly secular approach to LGBT rights. But in neighboring Arab countries like Saudi Arabia, Syria or Egypt – being gay is illegal with punishments ranging from jail to the death penalty. So naturally, as an LGBT traveler – it would seem that Israel would be a desirable destination. In fact, Tel Aviv itself has been rated as one of the top gay destinations worldwide in recent years. And frankly, I think it’s true. 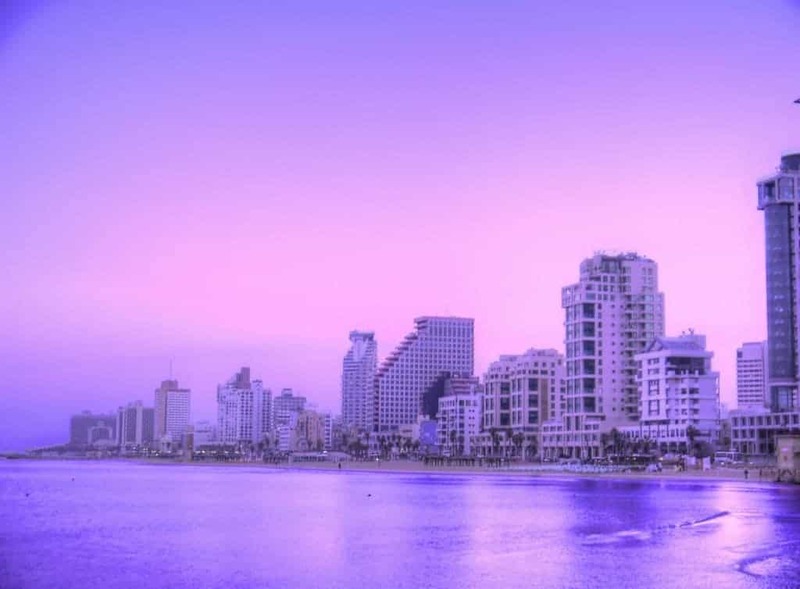 Tel Aviv is an extremely open and liberal city – a place whether local and foreign gays are welcome to be out, open and enjoy a thriving gay scene. Do I have an unbiased viewpoint? Probably not. After all, I’ve only visited Israel and I haven’t had to the chance to visit Palestine or really get to know any Palestinian people besides Mirah. So yes, Israel is a gay friendly destination but that is actually not the debate or the main issue behind the concept of pinkwashing. Rather, the issue at hand is actually more political and isn’t really about gay rights in Israel or gay travel in general. Instead, it’s really a political discussion focused around Israel’s occupation of Palestine and its treatment of the Arab minority. Surely I’ll be faced with criticism on my viewpoint but at least I can say I’m now educated when so many of those gay travelers to Israel are not. I’m actually not going address the topic of the Israeli-Palestinian conflict directly because the scope of that discussion goes beyond this article and there are many more qualified people who have written about this in the past and will continue to do so in the future. My intent is to limit the conversation to just pinkwashing and my personal connection to the issue as a gay traveler. My opinion is that regardless of the political situation (i.e. the occupation of Palestine) in Israel or whether or not the pinkwashing claims made against Israel are true (perhaps they are), I still support visiting Israel especially as a gay person. I know some don’t agree with me and that simply visiting Israel is a statement of support given that my money as a tourist is going into the local Israeli economy and then indirectly to the government. The truth is I’m actually not a political person – my passion and expertise is in travel and it’s where I choose to focus. Of course, I can’t ignore accusations and the facts. Israel continues to occupy Palestine and I traveled there just 2 months after the recent war with Gaza during the summer of 2014. Tensions were still high and it’s a fact that a lot of innocent people were victims of conflict, mostly Palestinian people. But even so, I still don’t believe the solution to addressing pinkwashing is a boycott. Some groups suggest that people boycott travel to Israel (especially gay activists) as way to make a public statement of disapproval. I recognize that boycotts might be effective tools in some cases but I don’t think this is the best solution here. I’m a strong believer that travel is a tool that opens people to new things, so stopping this cultural exchange doesn’t make sense to me. But while I don’t think a boycott is the answer, I unfortunately don’t really bring another solution to the table and I recognize the hypocrisy in this. Should You Travel to Israel? I’ve given my viewpoint, which is yes. I also encourage visiting Palestine if you get the opportunity as well to try and familiarize yourself with both destinations as they each offer a different cultural experience and different sites of interest. But of course, this decision is totally up to you. I often try to remind myself that those of us that are able to travel financially are a very few select group of privileged people in the world. We are lucky to have been born into middle class families in a developed country that allows us this opportunity. But I think this privilege comes with a responsibility to represent ourselves to the best of our abilities and recognize our situation. I believe that with every small trip we make, especially internationally, we learn a little bit more about one culture and hopefully leave something positive behind. I think that travel is a tool for education, understanding and cultural exchange. Israel is unique in the Middle East with LGBT rights and protections. But David and I both actually support traveling to countries that don’t have protection for LGBT people. Yes, we would travel Russia, Uganda or even Saudi Arabia regardless of the risks. We’ve already spent months traveling in countries of this type and it doesn’t scare us to go nor do we like the idea of boycotting a visit to these places simply because their government doesn’t provide LGBT protections. I also don’t think that a country’s government necessarily represents its people in every way…and many times not at all. I hope that people don’t automatically make assumptions about me just because I’m American – but I know it happens. I know this is a controversial issue and everyone is entitled to his or her opinion. But my take is that the more who people travel (especially LGBT people) the more these different places and cultures will become familiar with us and they will better understand the rights we are fighting for. Of course, you have to be smart traveler and address the reality of the situation. After all, we aren’t going to hold hands strolling in front of the Kremlin nor did we exchange a kiss or even wear our wedding rings during our month long trip to Ghana. My guess is that there is truth on both sides of the pinkwashing debate. But I stand by the fact that travel is a gateway to learning about people. After all, if we didn’t go to Ghana, we wouldn’t have met Mirah who so passionately educated us about this issue. If we didn’t visit Spain we would never have moved to Madrid – one of the most gay friendly cities in the world that we now call home. And finally, if I didn’t travel to Israel I wouldn’t have learned as much about this issue nor formed a more educated opinion. I know people will disagree. But even in the face of disagreement I think it’s beneficial to discuss. I’m opening myself to criticism which I fully expect. But I think talking is important. Education is important. Respecting another’s culture, while not necessarily agreeing with or supporting it is important. And I believe travel is one of the keys to better understanding our differences. What’s your opinion on the topic? Would you still visit Israel as an LGBT traveler? Why or why not? Great article Auston and totally agree with your opinions here. I have only ever heard positive things about gay Israel (particularly Tel Aviv) and would love to go. In some ways Israel is like a huge pink beacon of hope for gays in an area of the world where gay rights are a few centuries behind- even the EU countries over there (like Cyprus). It’s good to see that pink washing (as I understand the phrase?) has been used positively to hide messy politics when in Russia the exact opposite strategy is being pursued. Wouldn’t stop me visiting in the slightest, but more dodgier countries where I would be lashed or stoned for kissing my boyfriend in public are just not as high up on my wish list! Ps. We tried a kissing selfie in Red Square but realised we now need to invest in a proper selfie stick :( It didn’t bat an eyelid. Thanks Stefan. 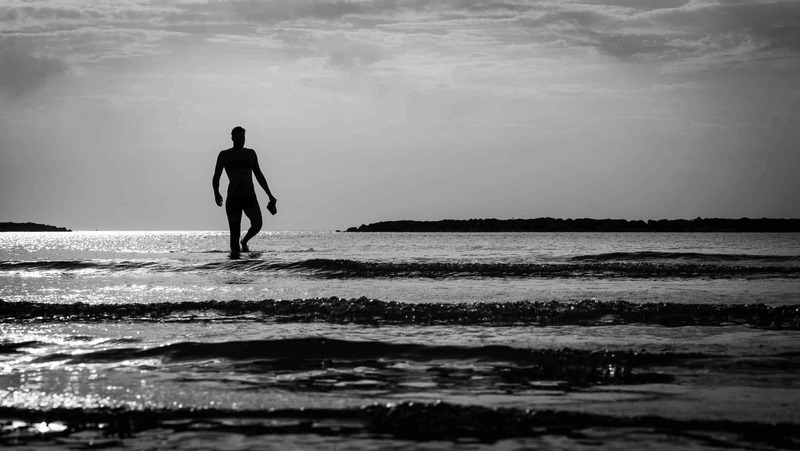 Tel Aviv is for sure a gay beacon…there is no denying that. Well even with your hesitations that you mentioned, you guys still seem to travel to many places that most LGBT travelers would never go…so good for you guys! Waiting in anticipating for all your future selfie stick pictures to come! Your article is a bit confusing but I’m glad to see you addressing this topic. Having previously worked in an Israeli-Palestinian peace NGO in Tel Aviv, I tend to share a similar belief. It’s okay to visit Israel (and the gay beacon that is Tel Aviv), so long as you travel in an informed way. It’s also okay to not visit. Everyone has their own personal reasons to travel. There are companies and organizations which are worth supporting and it’s easy to take tours or meet people closely involved in the conflict. There are also companies and organizations and tour providers not worth supporting, but obviously it’s hard to track down the best (and the worst) companies. So long as, as an informed traveler, you ask questions and take everything with a grain of salt, I think it’s easy to come away with a better understanding of the conflict, the peace process and the issues. I like that you’re advocating a visit to Palestine and it’s a real shame you didn’t make a visit yourself. Make it a priority on your next visit to the Middle East. It’s a remarkable place. There are a handful of organizations that operate day tours out of both Tel Aviv and Jerusalem, or it’s quite easy to stay overnight as well in both hostels or 5-star hotels. Thanks for sharing your article Adam. I’ve definitely talked to plenty of people that shared the viewpoint of your friend, which as you said, is fine and they’re entitled to their opinion. I’m sure you’ve been exposed to much more of the issue having spent significant time in Israel. My experience was just a week long but it’s really interesting to see first hand even if for a short time. I’m guessing many people probably have a fear of visiting Palestine given the negative media exposure. It’s definitely going to be part of our next trip when we make it back…will be interesting to see if anything changes in my perspective as a result of that visit. I liked your article. 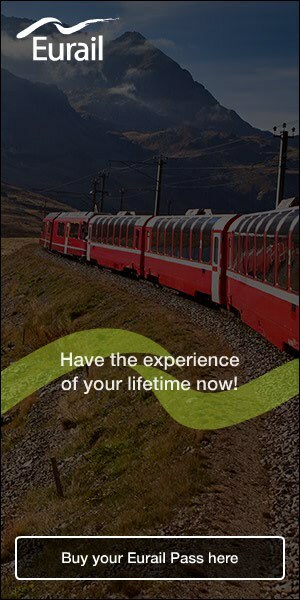 But you should know that that tour operator got a budget to sponsor your trip. Perhaps Peter but I was told it was privately sponsored. I have been to Israel 4 times in the past 10 years. It’s an amazing land with super friendly people. Do not believe what you see on the News. Israel is truly the light of the Middle East where gays, women and minority groups can be free. Isarel is Outstanding! Can’t wait ti come back! me too :-) it’s a really interesting country with amazing sites. AMAZING COUNTRY. The light of the Middle East. I definitely felt safe as well. Glad you enjoyed your visit. I’ve read your article and first of all: chapeau for your writing and your opinion. It’s a truly respectable choice you made to give your point of view without giving a statement on the Israeli-Palestinian conflict. It’s a complicated conflict which is hard to address, which is complex and has so many point of views. Israel is about so much more than only the conflict going on. I’ve visited Israel a few times. I’ve been standing on the northern border with Lebanon and Syria, I’ve been laying many times on the beach of Tel Aviv, I travelled to Palestinian ruled cities like Ramallah and Betlehem, visited a Palestinian refuge camp, spent days in Jerusalem and met minorities within the Israeli society. I met Israeli and Palestinian politicians, from Israeli ministers to representatives of the terrorist organization Hamas. So, I think at least I can say that I have seen many sides of the Israeli and Palestinian societies. Probably I still didn’t see them all. My feeling about those memories are mixed. A religious city like Jerusalem is imcomparable with a liberal city like Tel Aviv. But, which is essential, as a gay person I have never felt uncomfortable in Israel, neither unsafe. Between the Mediterranean Sea and the Jordan River I felt comfortable and safe within all of the areas ruled by Israel. Like so many countries Israel knows a division between conservative, progressive and liberal, between orthodox, religious and secular. Of course there are very strictly orthodox people living within Israel, mainly in religious cities like Jerusalem and the acceptance of gay people is way less there than in other areas. But doesn’t every country have a more conservative area? For example here in the Netherlands we know villages where they don’t appreciate it if you drive through it by car on Sunday. The United States knows several very conservative areas just like Texas. On the other hand in the Netherlands we have our beacon of tolerance and liberalism called Amsterdam, and so the United States has cities like New York and Las Vegas, as Israel has its liberal city of Tel Aviv. What I try to say is that Israel is not very different from other countries as its population is divided between religous and secular. What matters is that within every area of the Israeli society gay people are protected, even if they are not accepted because of religious reasons. And this is what makes Israel a Western country after all; since the creation of the State of Israel it has always protected minorities, including the gay community. Discrimination of gay people is prohibited and included in the criminal law and the Israeli constitution, just as it is included in other Western societies. When I’m in Tel Aviv or other cities in Israel I feel like being in Amsterdam. People are tolerant, people are open minded, you are free to do whatever you want and if needed you get all protection needed by the state. Some people claim that Israel respects LGBT rights just because of image building. It’s nothing else but a lie. 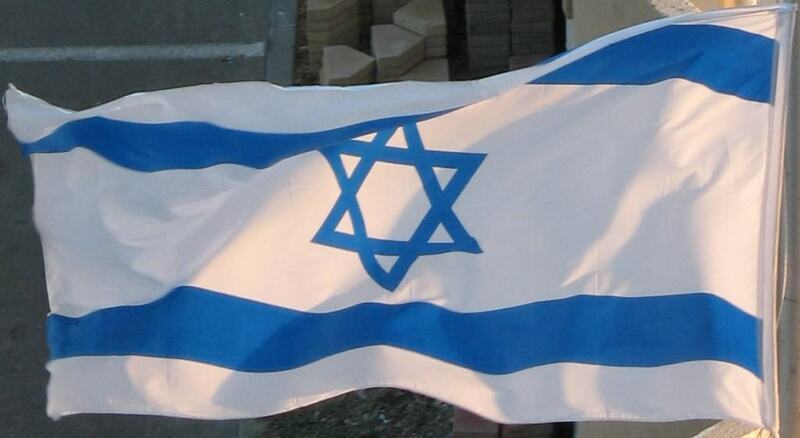 I advise everyone to visit Israel and meet the Israeli people themself. Do people really think that Tel Aviv almost elected a gay mayor for image building? Do people really believe that there’s currently a bill proposal allowing gay marriage in the Israeli parliament just for image building (the state is currently not involved in marriage, which makes only religious institutions being able to make a marriage, although the Israeli law accepts every gay marriage)? The highest number of Palestinians that flee the Palestinian Territories go to Israel. Gay Palestinians are accepted as refugees in Israel as they are prosecuted in the Palestinian Territories. It’s a simple fact that says enough for me. But maybe some people think that gay Palestinians flee to Israel for Israels image building. People can have a twisted mind. I advise everybody to make a trip to Israel. During your trip visit more religious cities, visit Tel Aviv and try to visit Palestinian areas. After a trip one can only make one conclusion: only in Israel you are fully protected as a gay person, you are fully tolerated and there is no need to fear coming out as a gay person. 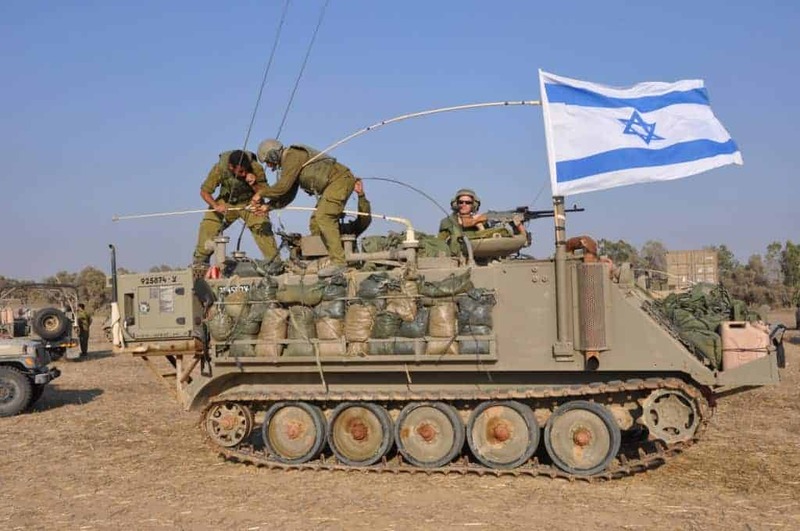 At the end Israel truly is the only Western liberal democracy in the Middle-East. And until the moment we as the gay community can organize our annual pride in the Middle East in other cities than Israeli cities, this country and its people deserve our respect and full support. Regardless the Israeli-Palestinian conflict, because Israel is about so much more. Wow…thanks for your comments! I do have to agree with most of what you say and the viewpoint you’ve shared. It’s interesting, because I think those who accuse Israel of pinkwashing don’t necessarily think that the LGBT rights and protections are false. From what I can tell, it’s exactly as you describe…a democratic state that offers protections to this minority group even with all the intolerant, religious people living in the country. And as much as I tried to steer away from the conflict it’s actually the main issue within the argument of pinkwashing. Another argument I’ve heard is that people who have fought for so many years to obtain this LGBT protections in Israel now feel undermined because the message seems to be that the government is tolerant when in fact, it was a grassroots effort by many advocates over a long period of time, just like it has been in Europe, the US and other places that finally offer LGBT protections. It’s an interesting topic and probably one that can be debated continuously. In any case, thanks for sharing your experience. I won’t visit Israel as long as Israelis occupy Palestinian lands, treat Palestinians like third-class citizens, and murder indiscriminately. For me, visiting a country like that is tantamount to supporting it so, no, as much as it looks an interesting country, I doubt I’ll ever go there. I do understand the opposing view, but I won’t give my hard-earned money to a country that does things that are so against everything I believe in, as that is financially supporting Israel, and therefore supporting some of what they do. Hi Michelle. I understand your perspective. Thanks for reading and sharing your viewpoint. So, I’m wondering if you heard anything about the transgender community in Israel? I’ve also been thinking as I read this, in less tolerant countries visiting gay people might be able to pass as straight and thus avoid harm, but visiting trans people (especially those who don’t fully ‘pass’ as their gender) might be out of luck. Good question. I’m not about trans issues in Israel. I would think it’s pretty progressive though. Josie, Israel sent Dana International to represent her in the Eurovision. You’d be as safe (or not) as in any mostly progressive Western country.